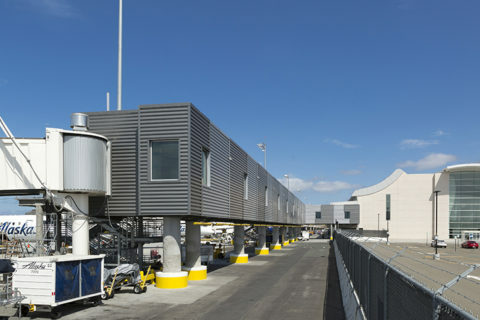 The Airside Four Improvements Program included the renovation and wing expansion of the Federal Inspection Station (FIS)/Customs Border Protection (CBP) spaces, TSA Recheck expansion, 90’s gates expansion, 80’s gates improvements, HVAC air handling unit replacements, and fire alarm system modifications, while maintaining regular airport operations. 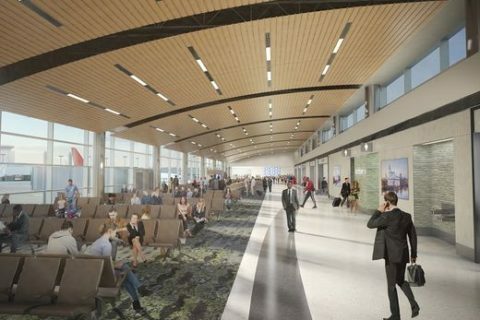 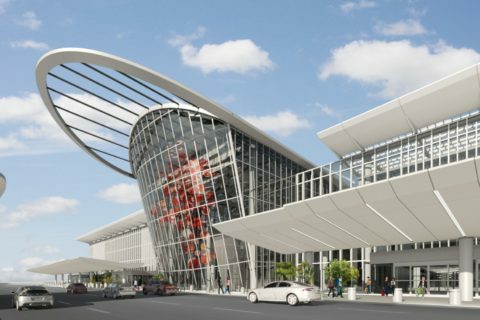 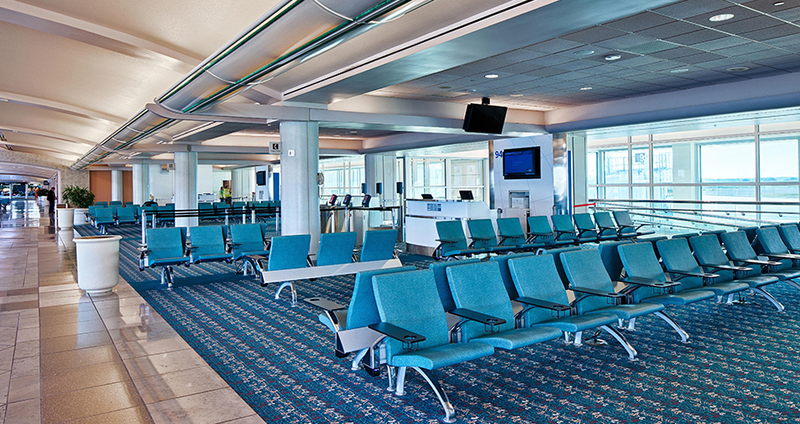 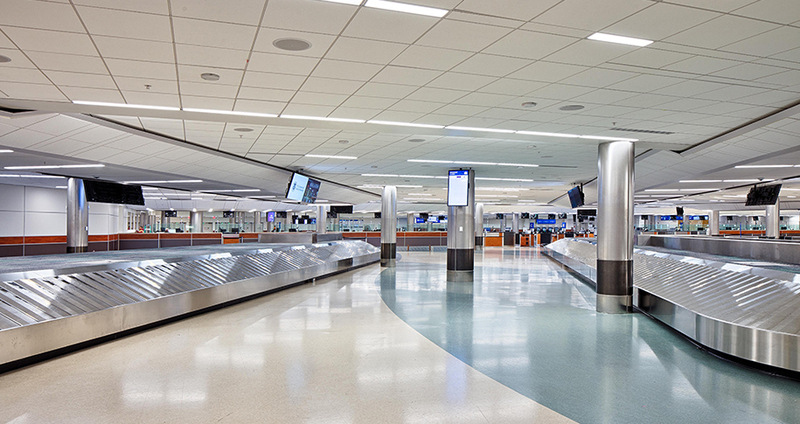 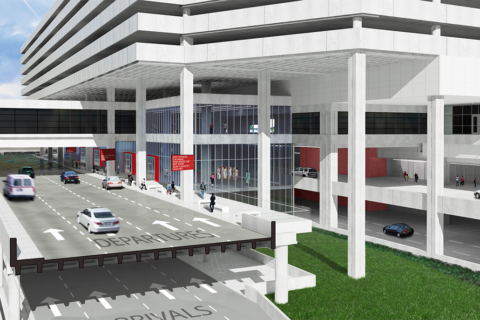 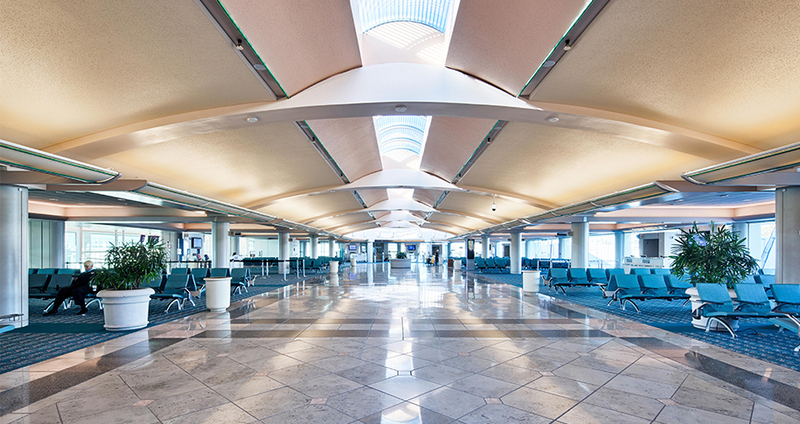 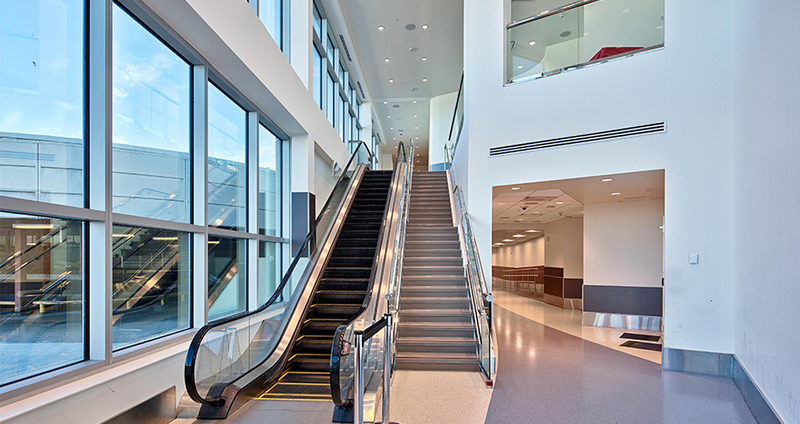 This renovation and expansion project took place to accommodate the rapidly growing international traffic at Orlando International Airport. 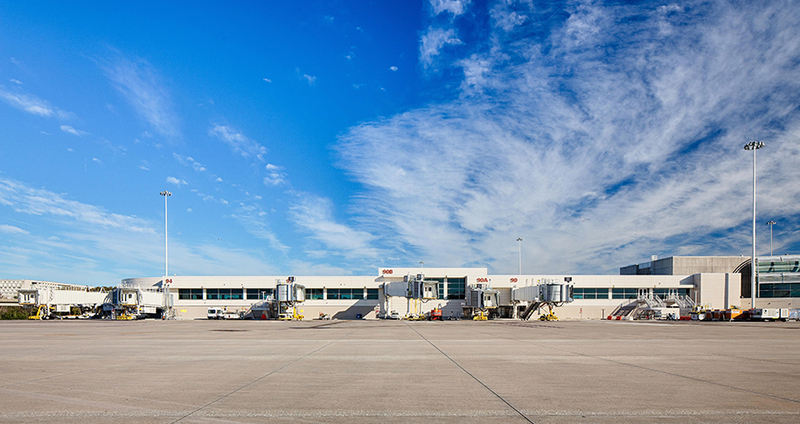 Four current domestic gates on Airside Four were converted to “swing” gates to be used for either domestic or international service, including the capability to handle the largest commercial aircraft currently being operated. 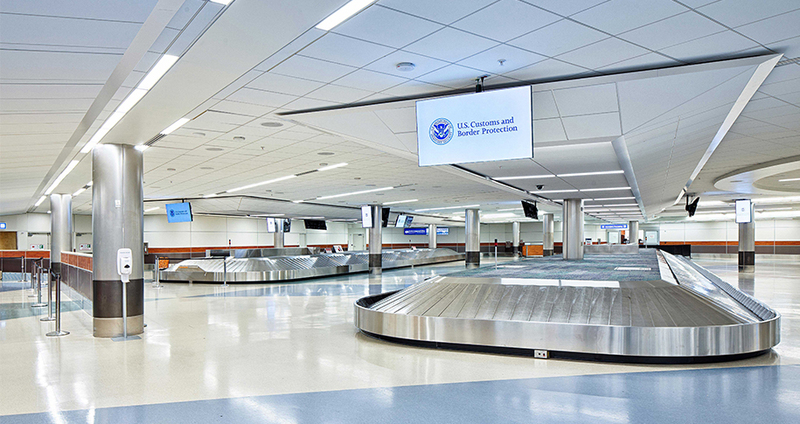 The TSA Recheck expansion allows passengers traveling from the customs hall to a domestic flight to go quickly through a second TSA check. 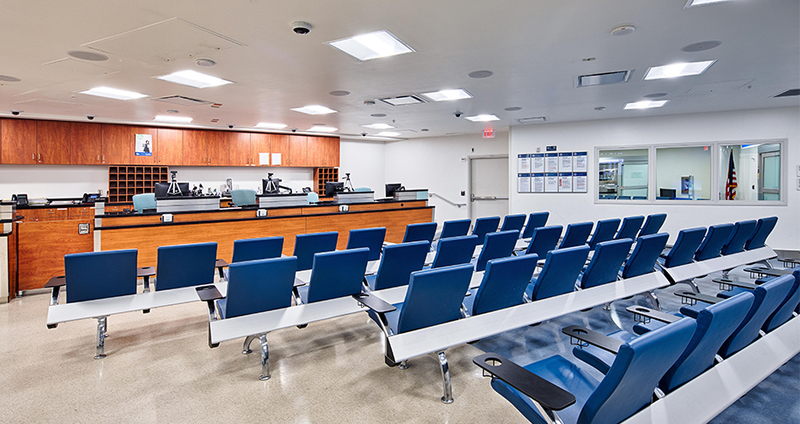 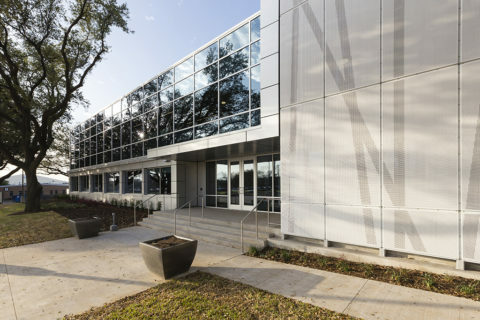 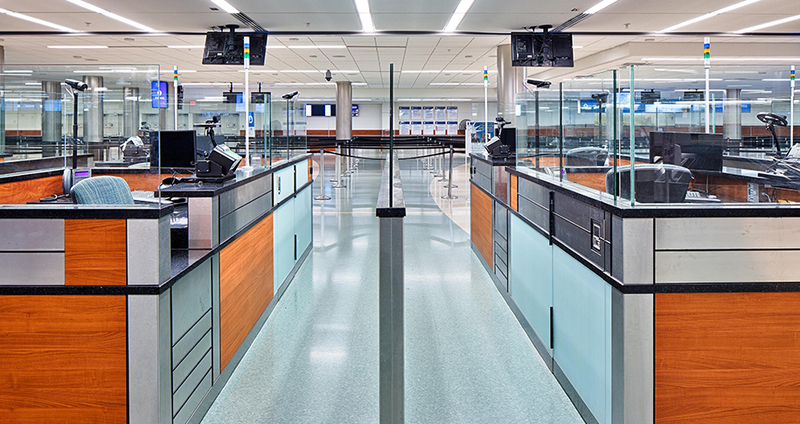 Additionally, the Federal Inspection Services (FIS) facilities were expanded to provide more space for Customs and Border Protection officers and passengers being processed through customs and immigration. 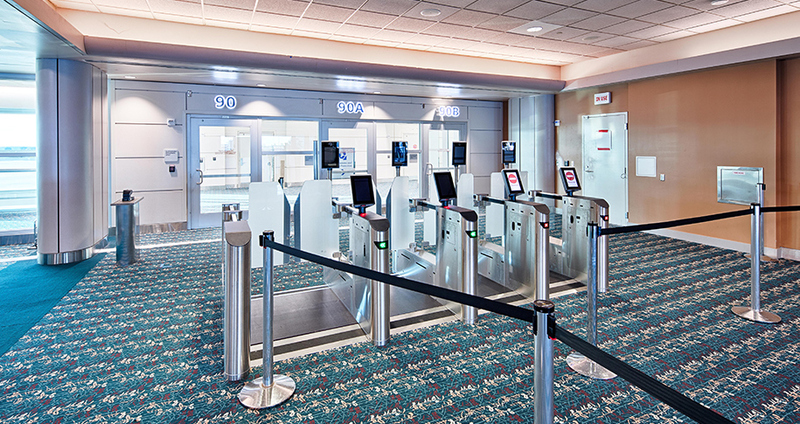 Along with a new Global Entry Program, substantial technology upgrades were added to the FIS facilities including video monitoring, audio monitoring, and facial recognition. 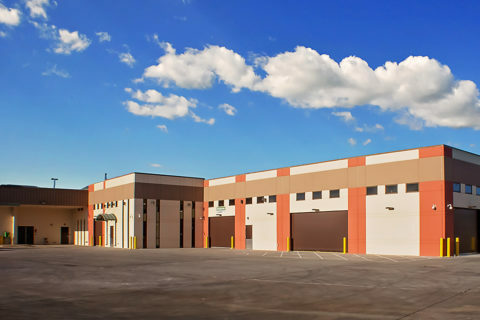 This expansion and refurbishment increased throughput by about 25%.